This is a second part of the BBQ basics series, and today I want to share few of the basic liquids that will bring your fire-cooked dishes one head above everyone else’s :). About two years ago I ran across a book of Steven Raichlen called “Sauces, Rubs and Marinades”… I bought it and since that moment this book became my one and only source for ideas when it comes to pretty much anything related to BBQ condiments. The first one I wanted to share today is my take on what was called in that book “The only marinade you’ll ever need”. As always, I never take the recipe as is, so I made few (ok, ok, a lot) experiments and came up with my own all-round marinade for simply any meat you can think of. To make the marinade, I place all the ingredients but the olive oil in the blender or a food processor and simply process to smooth consistency. Then – gradually add olive oil while processing until emulsified. That’s it. Marinating times vary between different meats – e.g. for chicken it’ll take 2 hours approximately, and for beef or lamb – it can go up to 5-6 hours to overnight. And again, like in everything else, experimenting is the key :). Ok… We have the meat marinated and ready to be grilled. Now – we want to give it that extra moisture and flavor while grilling it. So we baste it with flavored mixtures, mainly – fat based, like oil or butter, and I do have to say butter will be my all times favorite when it comes to basting meat. Nothing beats the flavor it gives, especially not olive oil, as much as I am in favor of it, being an Israeli :). 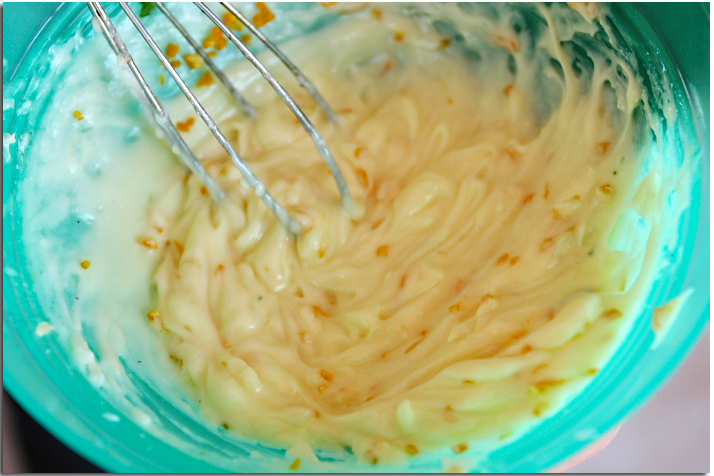 Here’s one basting butter I like the most – herbs & garlic butter baste. Place all the ingredients in a saucepan and heat, stirring constantly, on a very low fire until all butter has melted and salt dissolved. Baste the food from time to time during the grilling time. Of course, you can always try to add or change ingredients – experiment with it and you will be surprised with the results! Finally, I want to share a very interesting glaze I usually use for poultry. It’s sweetness and aroma works best with birds, but also can be great with pork. I would not recommend it for beef though. This glaze combines two of my favorites – pineapple and garlic. Melt the butter in a saucepan and fry the garlic slices until they just begin to golden, about 3-4 minutes. Then, working on medium heat, stir in the rest of the ingredients, one by one, and bring to a boil, stirring constantly. Cook for about 5 minutes until the glaze slightly thickens, remove from heat and use within half an hour or so. I usually prepare the glaze either right before the grilling, if these are small cuts I am planning to grill only a short time, or during the grilling, if it’s a long way to go. Glaze should be applied within the last 5-10 minutes – the reason for it is we want to let the sugar in the glaze caramelize, but not burn. Burned sugar gives bitterness, while caramelized – the sweetness we want on the meat. This entry was posted in Theory and tagged baste, BBQ, glaze, marinade, spices, theory. Yes, I am doing my best to translate my Hebrew content… It goes slowly – more than 200 posts to translate, but finally I’ll make it. And yeah, butter gives it an extra layer of flavor, hands down! Keep translating some great info.I will keep watching.